Located in Burleson, TX, just outside Dallas/Ft. 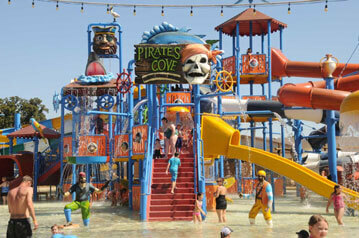 Worth, Pirates’ Cove is the perfect place for the whole family to spend a fun-packed day together escaping the summer heat, getting wet, and having a blast! A North Texas park made for affordable family fun time. Ahoy, Matey! Bring your motley crew for a wet and wild birthday party you won’t soon forget. There’s plenty of adventure in store for everyone!